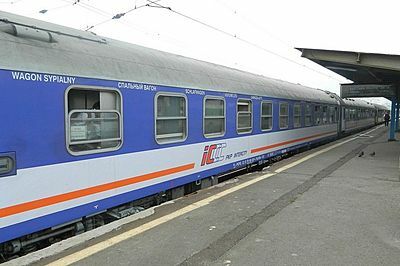 Train 21/22 is a fast train operating on Moscow to Prague route. The train is run by Russian Railways and is considered 'firmenny' (branded) train. 1st and 2nd class cabins are available.The train covers 2095 km in 27 hours and and goes through 4 countries: Russia, Belarus, Poland, and Czech Republic. 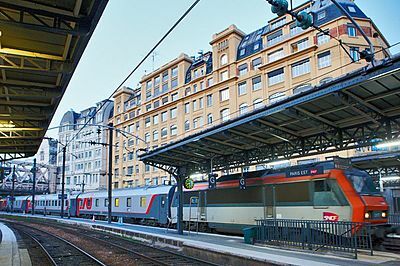 Moscow – Berlin – Paris train is a fast train with an increased level of service called a "firmenny" train. In 2015 all carriages were replaced with those of new RIC modification. Three types of carriages are available on this train: VIP 1st class, regular 1st class and 2nd class carriages. Train 009/010 'Polonez' is a fast train from Moscow to Warsaw run on parity basis Russian Railways and Polish Railways. 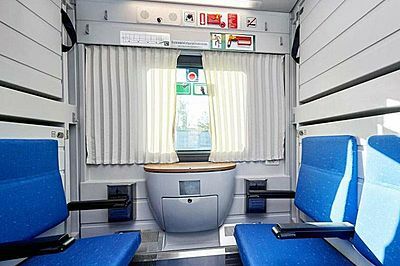 The train has 1st and 2nd class cabins. On selected dates VIP 1st class is also avaialble. On the Moscow - Brest - Moscow leg of the journey the train has a bistro car. 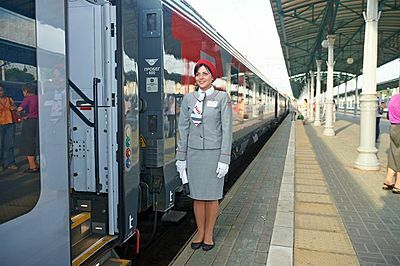 Moscow – Berlin 'Strizh' train is a fast train with an increased level of service called a "firmenny" train. It is the first passenger train to be equipped with a wheel system automatically adjusting to European gauge, which helps to cut the travel time. Four types of carriages are available on this train: VIP 1st class, regular 1st class, 2nd class and 1st class seats. At the moment, there are 3 trains operating on the Warsaw to Moscow route. Electronic tickets are currently available on all of them. You should remember, though, that certain tariffs, such as Senior or Single, are only available for paper tickets. We can arrange the delivery of paper tickets to you for an extra fee. Another important thing to know about this route is that all of these trains go through Belarus and therefore, you will require a Belarus transit visa for the trip.